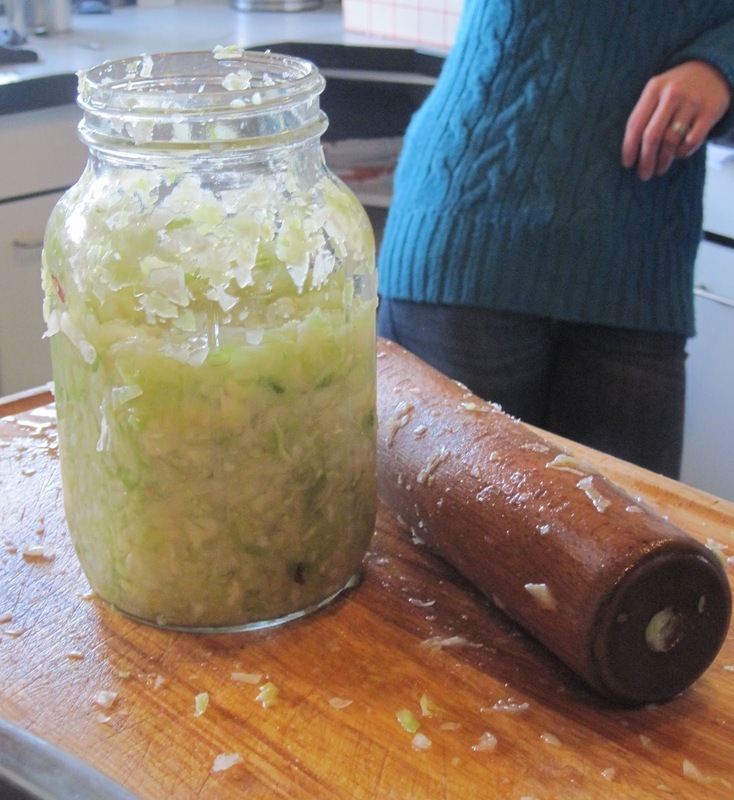 My friend Sara and I have been after Gigi up at Big Bear Ranch to teach us how to make her delicious lacto-fermented sauerkraut and today was the day! Steffi, another friend joined us and we had a delightful morning chopping, pounding, gabbing and eating Steffi's yummy apfelkuchen. 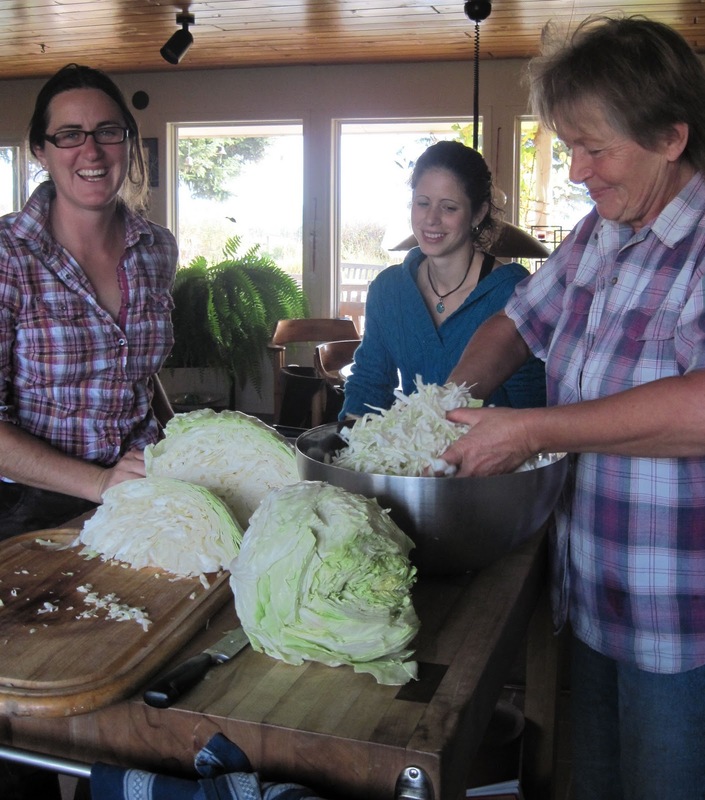 you add small amounts of the cabbage and then pound it until it produces juice. 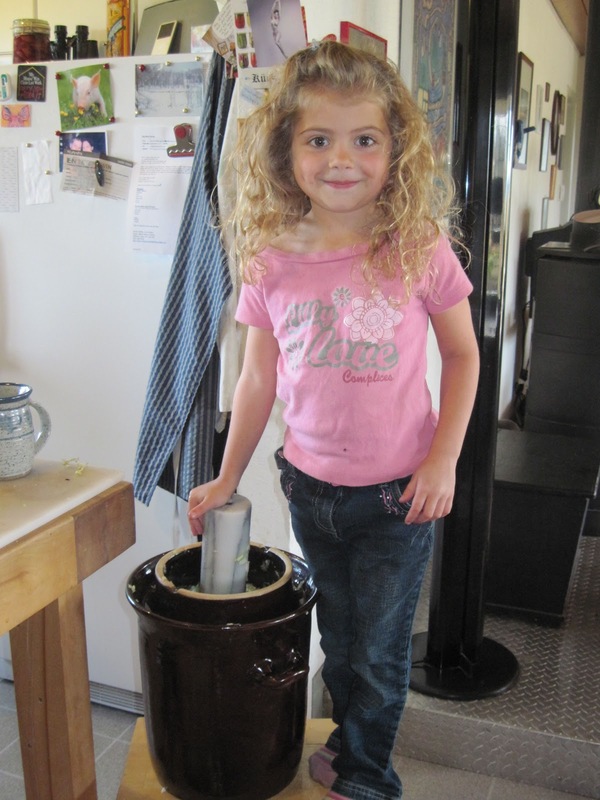 Once we filled the jars we put a raspberry leaf on top, which apparently aids in the fermentation process. Then put the lid on the jar and leave it in a warm place for a week, then move it to a cool room or fridge for a few months. So simple and so much fun even my friend's daughter got into it! I made my sauerkraut 2 weeks ago. Last weekend I put kimchi and also carrots on to ferment. The kimchi is ready and tastes great. The carrots should be good in another 5 weeks or so - I haven't done them before so I hope they will be good (recipe from the book you mention). My local bookstore called today to say that the "Wild Fermentation" book I ordered is in. 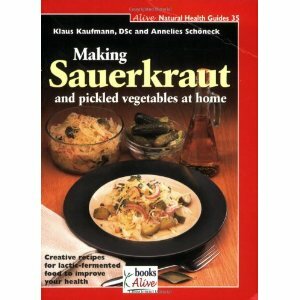 Hopefully it has some good recipes in it. Can you tell I'm trying to eat more fermented foods? They are really healthy. Have you had hot weather too? I can't believe we had 21c today!